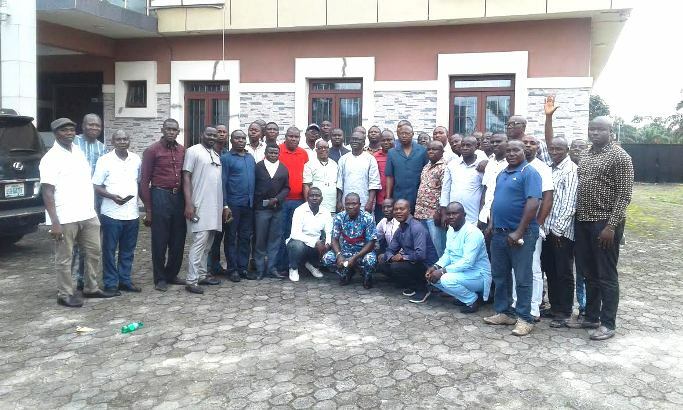 Ahead of the 2019 General elections, the executive and members of the Isoko Patriotic Front (IPF) have kindled their zeal to work for the former Vice President and the Peoples’ Democratic Party (PDP), presidential candidate, Alhaji Atiku Abubakar. The group, pledged their total commitment and support for the election of the PDP presidential flag-bearer, Abubakar, stressing that he is the best person to take the country to an enviable heights. The group gave their stand when they paid a courtesy visit to their Grand Patron, former Secretary to Delta State Government, Comrade (Chief) Ovuozourie Macaulay. Also, they vowed to work for the re-election of Delta State Governor, Senator Ifeanyi Okowa with a vote of confidence on his leadership style and development strides. The group National Chairman, Hon. Daniel Tutumor, in his address stressed that the prospects of Governor Okowa's governance and style, singles him out as a true fit honed for the actualization of the yearnings of Deltans. Tutumor who was accompanied by some members of the group, well over 50 persons, said that Okowa has surpassed every expectations of Deltans in every material particular. He commended the governor for staying true to his promises of delivering dividends of democracy to the people. Tutumor commended the grand patron of the group, Comr. Ovuozourie Macaulay for his support and leadership which according to him has taken them through the pestilential waters of politics. Former Secretary to Delta State Government, Comrade Ovuozourie Macaulay had earlier in his welcome address, commended the group for the resilience which he said was against all odds with a promise of better times ahead.